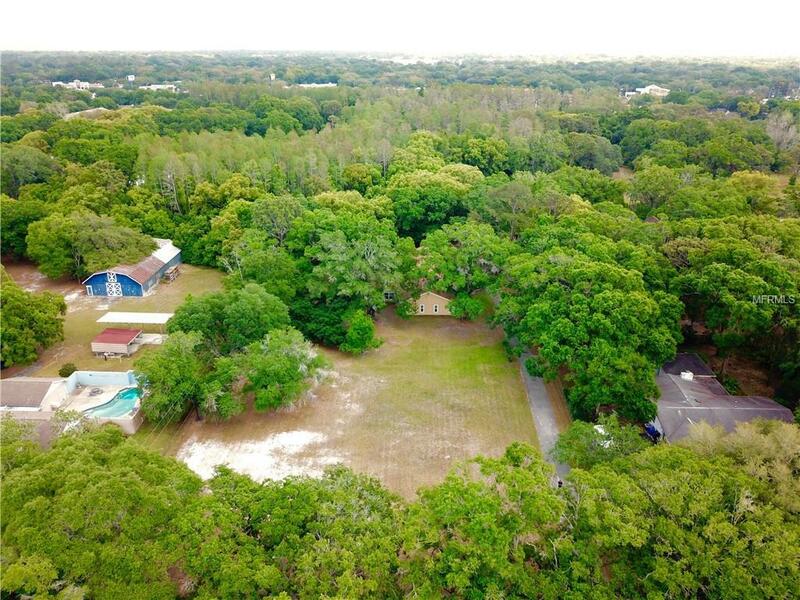 1.85 Acres (Development Opportunity) with Existing 3,374SF Carrollwood Pool Home. 4106 Hudson Lane comes to the market as a sprawling estate that has been in the same family for 60 years. In 2011 this home was completely rebuilt from the ground up with modern finishes throughout. Inside, enjoy 3,374 spacious square feet of living space with 9.5ft tall ceilings, 3 bedrooms and 3 full baths. Enter the home through the solid wood double front door, greeted by the open concept formal living and dining room. jThe oversized kitchen is the home chefs dream with ample granite counter space, solid wood cabinets, soft close drawers and (2011) stainless steel appliances. The large utility room off of the kitchen offers plenty of space for your washer, dryer and storage, leading to a 3 car garage. The massive family room features a wood burning fireplace (never used) and french doors which lead to a pavered patio. Enjoy a year round private oasis, including a heated saltwater pool and spa with plenty of room for the grill. Roof is attached with hurricane straps; 2 A/C systems; new septic tank (2014); county water.